We’ve been doing this for a long time. We’ve seen a lot of good, reputable roofers come and go. But we’ve also seen a lot of scam artists along the way. 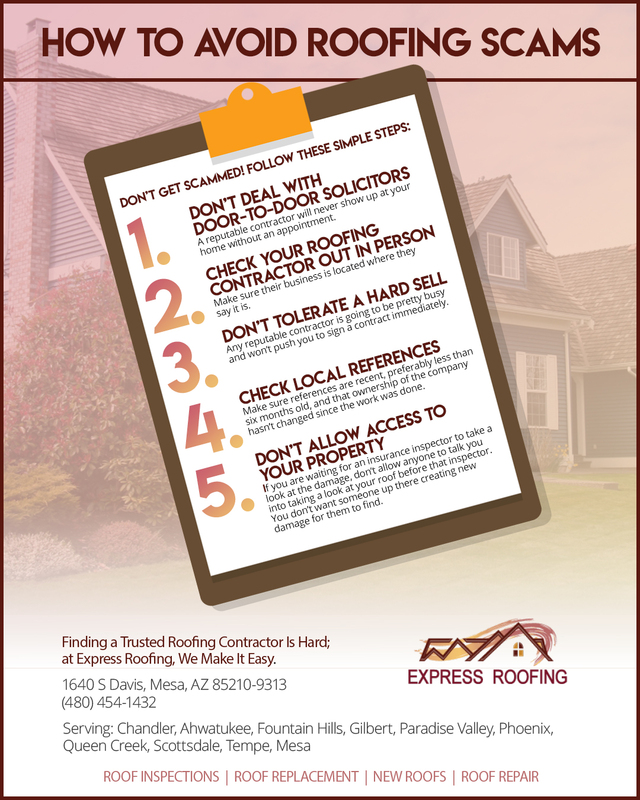 Whether or not you decide to work with Express Roofing, please be aware of, and take steps to avoid, roofing scams. They’re still out there. These are the simplest steps you can take to avoid being taken by a roofing scam. Sometimes, a well-intentioned sales person will knock on your door to tell you about their roofing specials. Here’s the problem with that. Even if the sales person really is trying to do a good job, you have no way of knowing whether or not the company that hired them is committed to doing a good job, or just trying to get a lot of contracts signed and deposits paid. Additionally, door-to-door solicitors can easily print business cards, have websites, and look very legitimate, when in reality, there isn’t even a real business behind them. The only time a professional roofer should ever show up at your front door is when you’ve got a scheduled appointment and you are expecting them. Do all of these things, not just some of them. Make sure they are licensed. Call their place of business. Drive by or visit their place of business to make sure they actually have an office where they say they do. 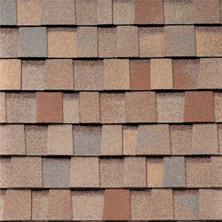 If they claim to be a certified roofer for a certain roof shingle manufacturer, check with that manufacturer. They’ll have a record. If they claim to work for a well-known national company, call that company. If they can’t verify that the person you’ve spoken to is legitimate, do not proceed. Actually, in general, if it isn’t a local company, just move on. 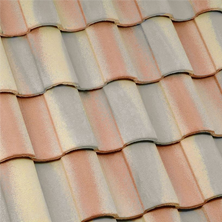 It is best to work with a local roofer that has a reputation in your city or county. If you are getting pressured to sign a contract or make a deposit before you are ready, don’t do it. Always speak with at least three contractors to compare costs, and to compare their styles of doing business. If one stands out to you as being a little fishy, it probably is. If a contractor is reputable, they’ll be glad to give you several references in your area. Customers are always happy to recommend roofers when they’ve done an outstanding job. Make sure those references are recent, and that the company was under the same ownership when the work was done. If your roof repair is part of an insurance claim, have your roof inspected by your insurance company and let them tell you what repairs are needed. Don’t let a contractor just take a “quick look” before your insurance company has been out to see the damage. If they are reputable, they should know better than to even ask. 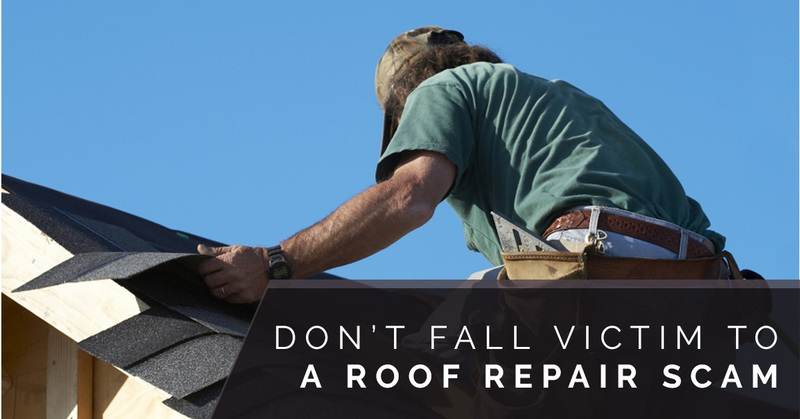 If they aren’t reputable, they may want to get on your roof before your insurance inspector, so they can make sure there is plenty of damage that will need repairing. We hope you’ve found these tips helpful. 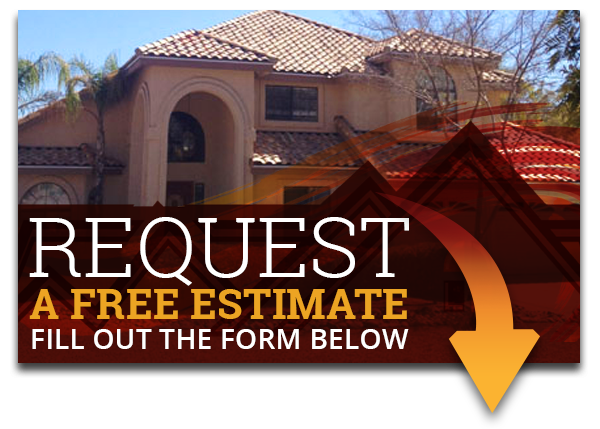 If you have any concerns that someone may be trying to pull a roof repair scam, you can report them to the Arizona Registrar of Contractors. 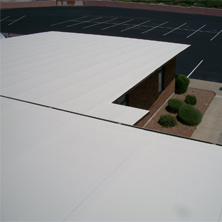 Meanwhile, if you need a new roof, or a roof repair, you can always count on Express Roofing.